-As Joe goes into a story about managing multiple Photos libraries, he discovers that this client has a short lived product called Bevy to centralize their photos. -Big thank you to Michael Thompsen and Viktor Glemme for guest hosting a recent episode of Command Control Power. Thanks as well to their guests Will O’Neal and Luis Giraldo for mixing it up with them. -Sam & Jerry express their disappointment in the cancellation of AirPower. -Sam shares some exciting news about office space. His group is on the move again. -Jerry has incredibly useful and relevant advice for marketing your business with Google and how he uses the TidBITS Content Networkto deliver information to potential customers. -Reselling additional services is a subject that has come up in previous episodes. Sam has some thoughts to add and talks about how he is bundling up some services that he hasn’t offered in the past. -Sam describes a conundrum that a consultant might find himself/herself in: pay me more to allow me to do less work. -One of Jerry’s education clients has a need for a product called Inkscape. He describes his challenges dealing with X11 and the installation process. -Big shout out to Shawn Maddock of Envision Design. Envision is the company of friend and supporter of the show, Richard Wingfield. -Jerry has some follow up on a show where Sam & Joe discussed friendliness with employees. Jerry offers his thoughts on drawing a line with staff. -Insurance is something that Jerry is curious about amongst others in our profession. He and Joe discuss hard numbers. -Security is a subject we commonly bring up and Joe recalls a story he heard on the Reply All podcast. This concerning topic revolves around intercepting a phone number in two step verification by a practice called SIM swapping. -This year at ACEs Conference, they will focus on small groups and less speakers. This new collaborative and mentoring format will be a welcome and exciting change to an already impactful conference. -Kansas City has been chosen as a 5G test city. Will and the team will attempt to work with Sprint to provide some demos for participants. -Sam has a frustrating story about working with a VoIP provider he shares a long relationship with. An issue with the client’s quality of service on their phones goes into a 2 year sago with an annoying fix in the end. -To add some humor to his stories, Sam shares a very funny story about a late night visit from a user in need. -Not a show goes by without Joe sharing an annoyance of a feature or lack thereof. In this case, he discusses “pop over” functionality in Messages. Sam gives a tip back to Joe. -Sam is now solar powered (well, his home is)! -The FaceTime bug, now fixed, has Joe thinking big picture with regards to security. -If you are going to cover your camera with tape, at least make sure it’s not clear tape. -In his off time, Joe sits in his camper and ponders about security. So he has some theories on malware. -As Joe & Sam start to go down the road of managing a team, one point that Sam brings up is the way mistakes are made. Joe goes back and forth about holding employees accountable and making excuses for them. -He addresses use of a UniFi Cloud Key and how he goes the route of using an in-house controller on a Mac mini in his office. -A point of interest is how to migrate devices from one controller to another. More testing may be needed on Sam’s part. -Remie shares a tip on creating users for clients, which involves setting up credentials for the user instead of having them jump through hoops to create a new account. -Finding difficulties in implementing an SSL certificate for his controller, Remie created a guide and shares it with listeners. -For his fees, he offers to do firmware upgrades as well. -One hurdle that he found himself hitting, was the issue of needing to do a “Set Inform” twice to adopt devices on a controller that is not on-site. Ubiquiti confirmed the need for this method. 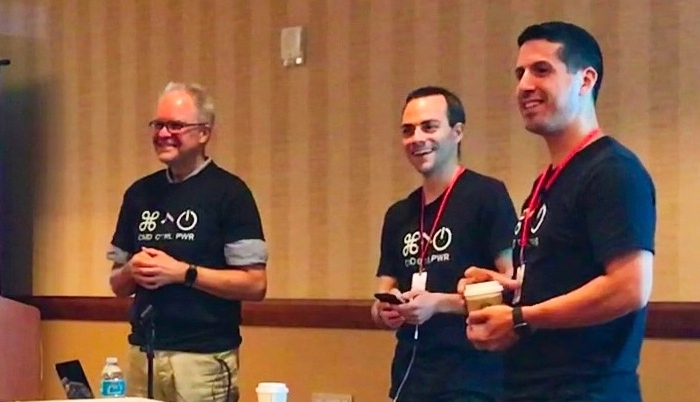 -As the group discusses the topic of using secondary ports on the AC-Pro APs, Sam makes mention of a hardware limitation where speeds of the AP will represent the top speeds of the device connected to the secondary port. So if a device connected can only operate at 100 Mbps, ALL devices connected to that AP will hit that cap. -Offsite configuration in a staging area is a popular method of setup, although depending on equipment used, it can present its challenges. -Before wrapping up, Remie gets into the confusing naming convention for USB and current speeds. He also advises on purchasing the proper cables. -Jerry starts the show on a positive vibe to take a moment to pat yourself on the back and appreciate what you do. -Joe reminds us to check reports on our clients and what we earn per client. Among other things to review once a year or more. -This peaks Sam’s curiosity because as his clients are looking for a camera solution, he is concerned about services that all require a valid internet connection to record data. -Joe paints a picture of a solid, bullet proof solution with local storage, PoE, etc. and talk of how clients can push back by seeing inexpensive options at retail stores. -On the heels of this conversation, Jerry gets into a story of setting up a new camera at a school and working with a subcontractor whose work was less than stellar. -To turn that towards our own businesses, the team talks about dealing with their own employees when jobs go longer than expected or a learning curve is involved. -Stories about running cabling or drilling at client sites create some amusing situations, even if they didn’t feel that way at the time. -Joe is not happy with what he calls “auto incorrect” on iOS & macOS. Sam & Jerry pile on. -Another grip for Joe is when using Apple’s search suggestions in Safari, there is no ability to go back to all results. -With equipment like this that require periodic firmware updates, Jerry poses a question of how to handle that with clients that are time & materials. Do you proactively reach out? How do you handle billing? -Mesh networks like Eero are good alternatives to more complex setups in residential scenarios. However, Sam knows “zero about the Eero”. -Work/life balance was a theme of ACEs 2018 that Joe really loved. Both Joe & Sam attended the morning yoga session on day 1. -After feedback from previous years, Justin and his team have implemented a new theme where participants will be able to meet in small groups and get feedback and help from their peers. -Brian Best is back for year 5. Will he be presenting in a tuxedo? -Justin's own company, Virtua Computers, was changed dramatically from the conference and his yearly revenue reflected this. -One piece of advice is to research and go all in on the tools you will need for your clients. 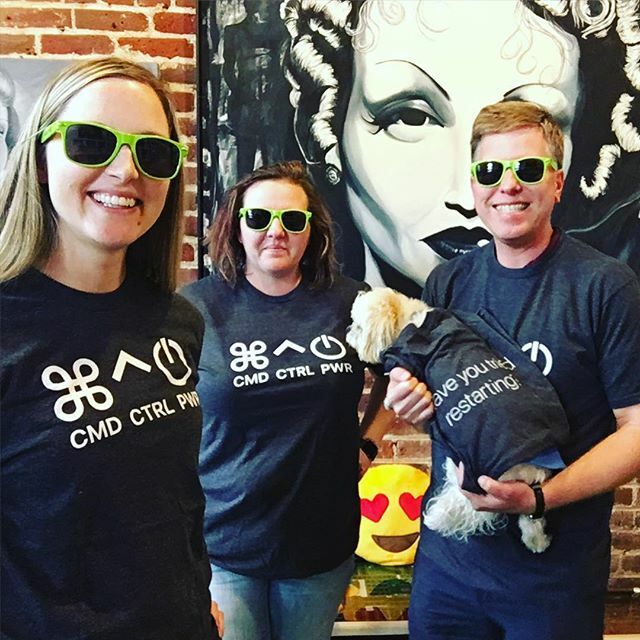 Whether it's Addigy for RMM (Remote Monitoring & Management), Zendesk for ticketing, JumpCloud for SSO (Single Sign On) or Apple Business Manager. -Automating and perfecting your processes is not only going to make your clients successful, but it will set your staff up for success as well. -Jerry has some clients with MacPractice and he has some concerns with their recommendations for Dolly Drive. Joe chimes in on his experiences. -Since Sam is relatively new to syncing Desktop & Documents to iCloud, he was looking for a way to stop specific subfolders from syncing to iCloud. He found that adding the suffix of .nosync to a folder would remove it from iCloud. -On the heels of naming conventions discussions, Jerry has a client that named folders with all the special characters that tend to wreak havoc on an OS. He got the old line “it wasn’t a problem before” from the client. -Sam’s client had what they thought was an issue with a UniFi mesh device. The answer was a lot more simple than expected. -Whenever a client messes with DNS, it’s a recipe for disaster. And Jerry’s client was no exception. -A need from one of Jerry’s friends turns into the discovery of a line of products from Ten One Design. 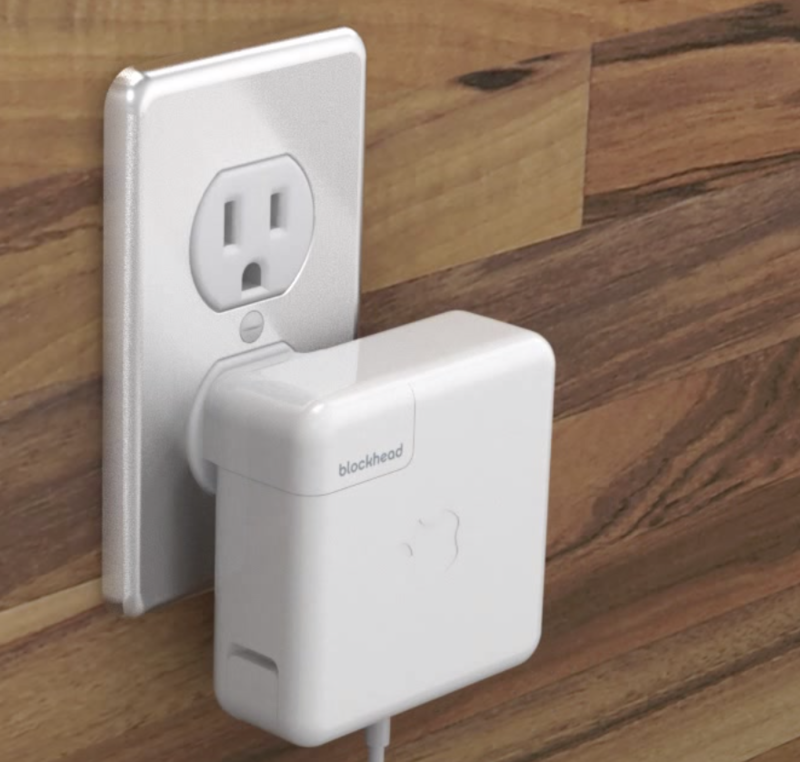 He ends up getting his friend the Blockhead, which turns the Apple power brick sideways to the socket. Check them out for a variety of other ingenious products like the Stella or Wifi Porter. -Listeners of Command Control Power can get a very generous 20% off their order by using the code “Command” at checkout. -It’s the simple things. Joe shares a feature of the Amazon Prime app on iOS that just makes sense and he wonders why other video streaming apps don’t do this. -In November 2014, Jonathan Mann set a world record for the most consecutive days writing a song. -During 2010, The Antennagate controversy struck Apple and the iPhone 4. Jonathan, as he does, wrote a song about it. The story that follows is amazing. Hint: it involves Steve Jobs dancing to Jonathan’s song! Joe - Going back to basics and focus on the fundamentals (ie. billing out as efficiently as possible, migrating more clients to managed services). On the personal side, developing a routine while living nomadically. Sam - Would like to travel less for both business and personal reasons. On the business end, it makes it difficult to run if he is not always there to attend meetings or give directives. On the personal side, he would like to attend more events for the children. -Jerry also has a plan to be organized moving forward and it includes the use of DayOne, an Apple friendly journaling app. DayOne can collect notes, images, audio recordings in journal entries and help organize your life and business. -Joe shares his thoughts about how malware appears to be a more persistent problem with client devices. -This all leads to an issue Joe was having with a persistent Safari homepage that would not change back. As it turns out, a security feature from Apple disallowing “synthetic clicks” was not allowing Joe to resolve this issue remotely. Thanks to Patrick Fergus (@foigus) on Slack for the assistance. -Sam brings back the MDM conversation when talking about how Apple is providing ways to be more preventative from a security standpoint. -What kind of stance should be taken when clients don’t follow your recommendations? -A possible client that Sam is negotiating with is being severely under-billed by their current tech company. This causes a challenge for HCS to quote the job. -As Joe says, we compete on value not price. And Sam loves when potential clients are shopping around and don’t go with him at first. Then they come back around after dealing with a “cheaper” solution. -Sam shares deep thoughts about chance meetings, life decisions, and how the show has changed his life and his business. -At a network installation for a client, Joe notices a distance issue with PoE access points and how the speeds vary. -After dealing with a variety of Ubiquiti products, Joe has a good deal of information to share. Within that same discussion, billing for managing alerts, updates, etc. for this equipment has come front of mind for Sam. -Jerry’s case to be made: Using texting in your business for efficiency (business number, not cell phone). Joe counters because replying on the business line is not as simple. Thank you to all of our Patreon sponsors! -When do you make that first hire? What is the key to knowing this is the time? -Who should that first hire be? Admin or technical? -We revisit the topic of finding ways to have your employees learn. Do they do it during work hours or is the expectation to learn on their own time? 285: MacMini, Why For Art Thou? -After recent hardware announcements from Apple, Jerry, Joe & Sam discuss the Mac mini specifically and where this updated model falls into their client needs. And what about a new iMac? -Turning on mark down support in secure notes is now a feature of 1Password. Thanks to Joe’s feedback/rant online? Who knows. -Jerry struggled on-site at a client with an odd Gmail issue with Apple Mail and as it turns out, it was the Keychain. -One of Joe’s client has an issue where their iCloud outgoing emails are going to spam for recipients. He utilized a blacklist tool to see if their IP or domain was on any blacklists. After working hard to diagnose, it turned out to be the fact that the user was using their ISP’s mail server to send messages. -One of Joe’s clients was trying a remote session and found MacHelp Mate!